When we work in the market we always ask the same question “Where will the price move?” A chart analysis is one of the methods to answer this question. The chart analysis is a study of price patterns on the chart. If you remember them you will be able to foresee the future price movement. When you see the price pattern you met before you will likely suggest where it will end. 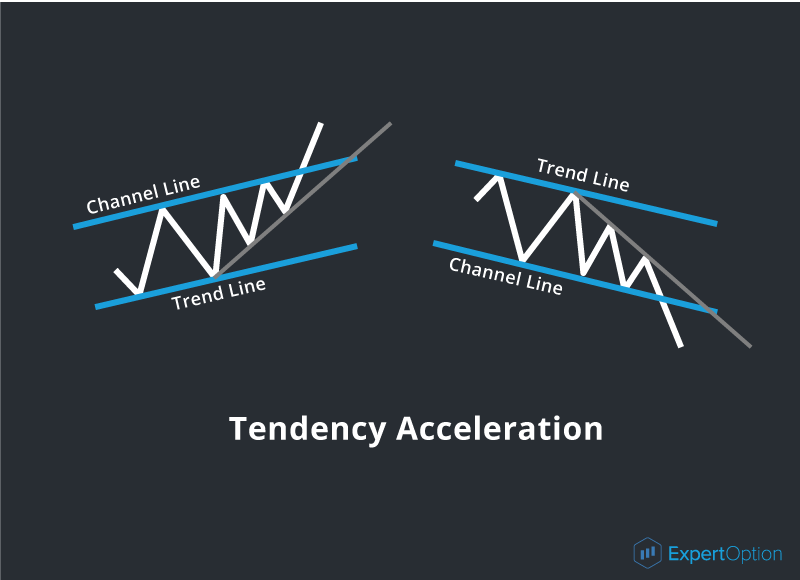 If you work with the trend channel you can get the information to forecast the tendency changes and trade successfully. Work in accordance to the trend direction is the most effective and reduces the risks to minimum. 1) The tendency continuation pattern indicates the current price movement has not stopped yet but will continue after a pause. 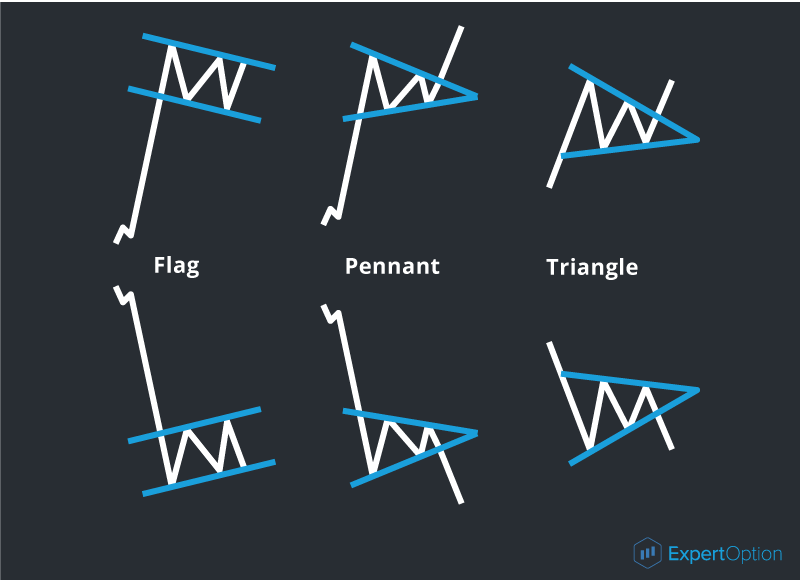 The continuation formations are a triangle, a pennant and a flag. 2) The reversal pattern is the price movement which indicates a current tendency ends and a new tendency will be formed. 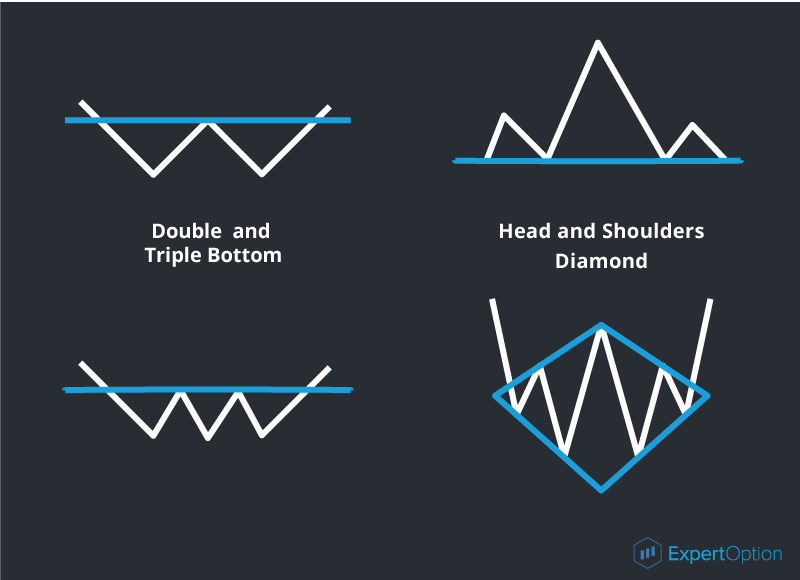 The reversal formations are double and triple bottoms, head & shoulders and a diamond. 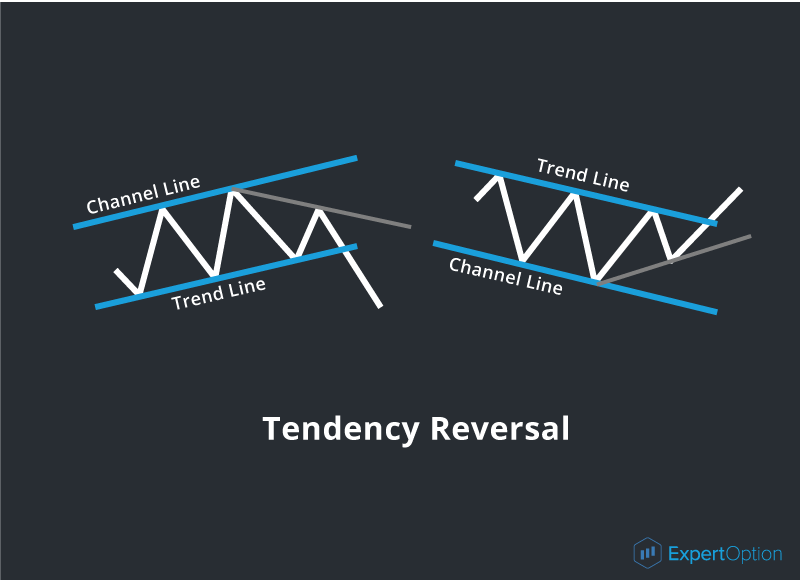 The reversal patterns can give the signal during and after the tendency. An important advantage of the technical analysis patterns is an opportunity to calculate the potential movement and use these results for online trading. We will consider each model in our following articles.